I just spent the last hour copying some concept art, probably done during the storyboarding phase of production, from well-known animated films. Guess the films? That's easy, Studio Ghibli's Spirited Away and Disney's Aladdin. Harder question: guess the scene? The aladdin sketch is copied from art by the amazing Glen Keane. 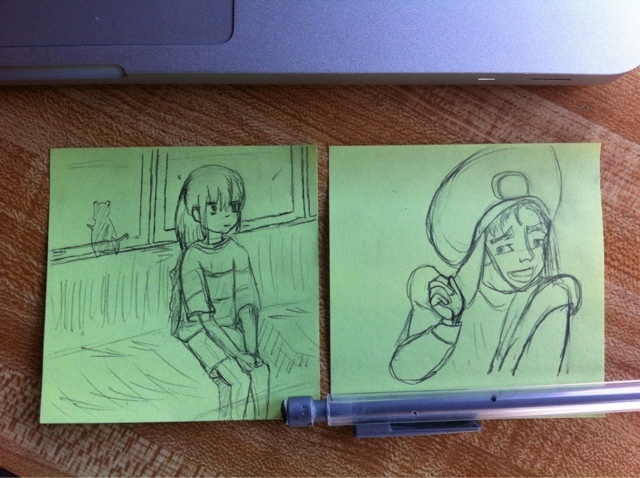 I have no idea who drew the Spirited Away one, so I'll just credit it to the equally amazing Hayao Miyazaki and staff.